The goal of this department is to provide accurate, up-to-date and effective information to our parents and community members by working closely with the district administration and communications department. We recognize that there are many ways to get information and strive to ensure that we provide enough trustworthy sources. This department also serves as a resource for prospective, new and existing families to the district. We offer an easy way for users to get questions answered through the “Ask Us” link on the website directing them to appropriate staff, documents or other information. We also provide school tours at each of our four buildings. If you have a question, please ask it. We are here to answer it. Laurie McCormack grew up on the east side of Cleveland and has lived in the Chagrin school district for 22 years. She has been a parent and a volunteer in the district for 16 years. She has had two children graduate and has witnessed how 13 years of Chagrin education effectively prepares our children for the next step. Laurie has an MBA in Finance from New York University Stern School of Business and a holds a Bachelor of Arts in Biology from Middlebury College. Laurie worked for Ernst &Young and developed working relationships with different groups of professionals. She served as a business development consultant in the Health Care field. 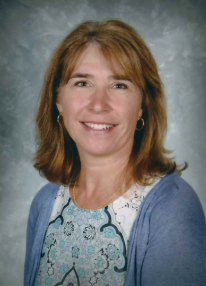 She has held leadership positions in Chagrin PTO (Treasurer, Chair of Financial Planning, and building representative at CFIS, CFMS, and CFHS). Her role in PTO here at Chagrin has kept her current with important issues and activities across the district and has given her more insight into how each building operates. Laurie also served on the levy and strategic planning committees.